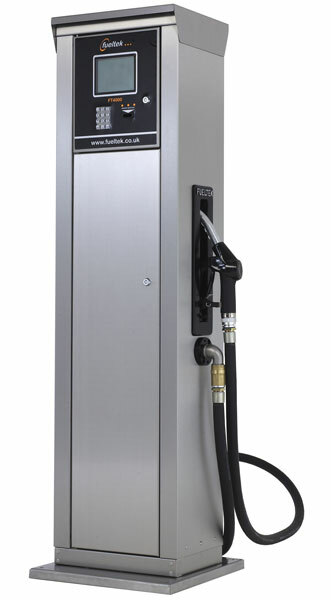 The FT4000-USB is available as an integrated fuel pump / fuel management system, as a pedestal mounted fuel management system or a wall Mounted (compact) fuel management system to monitor up to two existing fuel pumps, all the available options are designed to provide complete control and management of fuel for smaller commercial transport organisations. 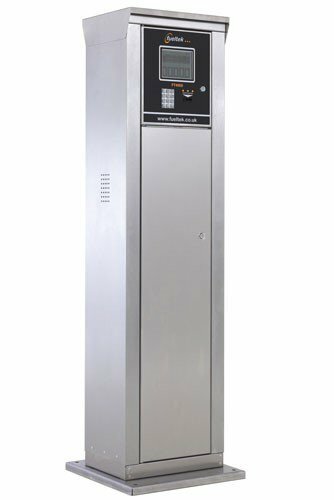 The FT4000–USB comprises hardware and software, the hardware is a robust, reliable highly specified Fuel Access Control Terminal (FACT) designed to be installed at the fuelling location. The FT4000–USB can control up to two products simultaneously. FT4000-USB uses the tried and trusted Datatag as the access method for authorisation to use the fuelling facility. FUELTEK FMO – USB is a simple reporting and control software package which is web hosted and enables you to upload transaction data through an internet connection all management fuctions such as introdcuing new datatags are done locally at the FT4000-USB FACT. Start a new period on request. Integrated pump and control system. The FT4000-USB is reliable and robust , the cabinet is made entirely of stainless steel. life of the system, The FT4000-USB uses a robust heavy duty telephone style keypad for driver entries such as mileage readings and a ¼ VGA Graphics display for clear easily understood instructions to be displayed at the point of fuelling. The FT4000-USB can control up to two products simultaneously. The FT4000-USB uses a Datatag as the access method. The Datatag we manufacture is a read/write tag, incorporating high security authentication using a cryptographic algorithm and a guaranteed 100,000 read/write cycles minimum. Data retention is 10 years minimum. The advantages of the Datatag are that there are no moving parts maintenance is therefore low, saving costs in the long term on the upkeep of the system. Datatags supplied are guaranteed for the life of the system. Reporting can take place locally and can be viewed on the display at the FACT or data can be downloaded from the FACT via a USB memory Device ( USB Flash Drive ) and uploaded and manipulated/viewed at FUELTEK FMO – USB web hosted/browser based reporting software. The FT4000-USB (FACT) is manufactured entirely from stainless steel. The unit is sturdy, robust and designed to operate in harsh environments. Access to fuel is via Datatag. Datatags can be programmed with a registration or fleet number. For reporting purposes a manager datatag is used to access a managers menu at the FACT. Data is uploaded from the USB memory device into the FUELTEK FMO – USB software which is web hosted / browser based. When the data is uploaded it can be sorted into either transaction history or totals used for each datatag. 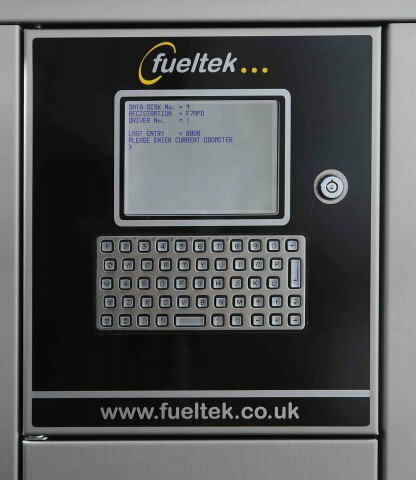 FUELTEK FMO – USB allows you to set a start and end date to enable you to view transactions in a time frame that suits you. Data can sorted via filters for information on fuel type/ Datatag Number. Data can also be exported into excel or word for further manipulation if required.